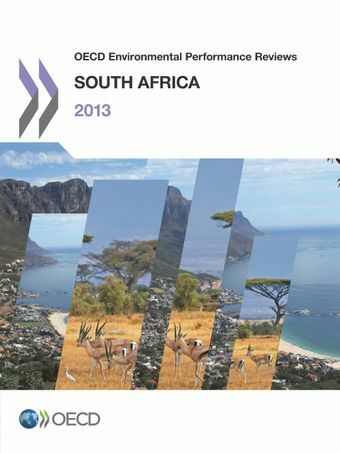 This report is the first OECD review of South Africa’s environmental performance. It has been carried out as part of the OECD dialogue with South Africa as Key Partner. The report evaluates South Africa's progress towards sustainable development and green growth, with a focus on policies that provide incentives to protect South Africa's exceptionally rich biodiversity and promote more effective and efficient environmental management across different levels of public administration. Rich biodiversity and exceptional ecosystems and habitats. Abundant non-renewable energy and mineral resources. Green growth opportunities from wildlife game farming, ecotourism, energy-efficiency measures and innovation. A comprehensive policy and regulatory framework for protecting the environment and managing natural resources. The fastest-growing renewable energy market in the G20 and the ninth-leading destination of clean energy investment. One of the most energy- and carbon-intensive economies in the world. An overreliance on natural resources. Poorly regulated mining resulting in serious environmental damage. High pressures on limited water resources. Poor environmental quality and access to environmental services (sanitation, waste collection and healthy housing) affecting health, especially children. Increasing illegal poaching, wildlife trade and damage by invasive species.